The night sky over Australia will be lit up by the Geminid meteor shower in the early hours of Tuesday, with up to 100 meteors per hour streaking across the sky. Send us your photos of the meteor shower via email, Facebook or Twitter so we can share them with our readers tomorrow. Astronomers expect the annual shower to peak early tomorrow morning. 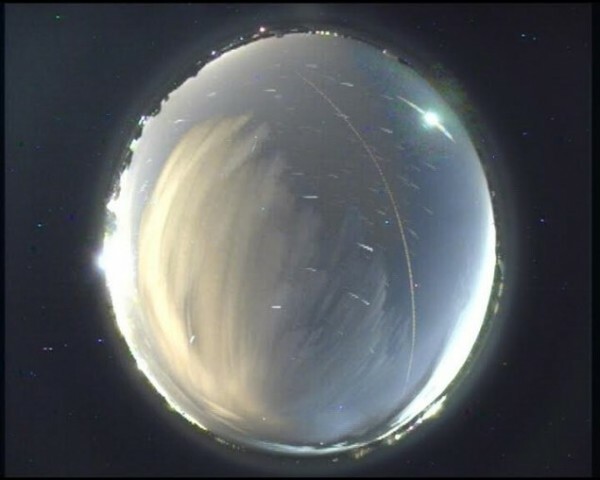 With no moon in the sky, conditions will be perfect for spotting meteors, says astronomer Dr Brad Tucker from The Australian National University. “This year it will be the perfect shower, because the moonless sky will be dark, and the peak of the storm will be high up in the Australian sky,” said Dr Tucker, from the ANU Research School of Astronomy and Astrophysics. Meteors, sometimes known as shooting stars, are formed when dust and small rocks fall into the Earth’s atmosphere and burn up. They travel at tens of thousands of kilometres per hour, which is fast enough to make them burn up when they hit the Earth’s atmosphere. The Geminid meteors are caused by dust left behind by a fragmenting asteroid, whose orbit the Earth crosses in December every year over the course of about five days. The meteors appear close to the constellation of Gemini, which will be in the east and to the right of Orion. Gemini will be visible after about midnight, and the peak of the Geminid storm is expected around 5am on Tuesday December 15. The picture above taken by Dr Tucker shows a bright meteor the other day. The meteor is the bright object in the top right. The long yellow streak is an airplane and the large glow to the left is light pollution from Canberra. The stars are in lines as this is a combination of multiple images over a few minutes. true , there have been much better views in the past. Went out to Lake George. It’d be good they said. Meh, it was okay. I’ve seen better.